By CNN'S SHEENA JONES CONTRIBUTED TO THIS REPORT. (CNN) - Western avalanches have claimed the lives of two more skiers, law enforcement officials and family members said. 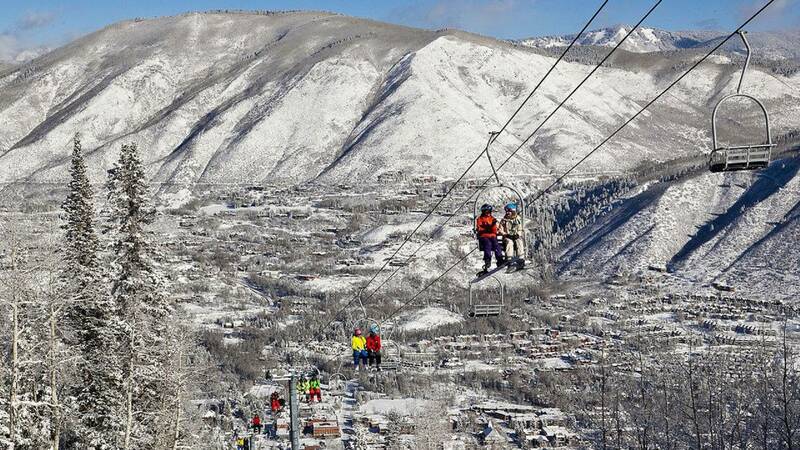 An unidentified male skier out with family and friends died Monday south of Aspen, Colorado, while a man injured last Thursday in New Mexico succumbed to his injuries. The Pitkin County Sheriff's Office said that the skier in Colorado was buried by snow near Markley Hut, extricated and given CPR. The efforts were unsuccessful and the 26 members of a rescue team began a recovery operation. "Rescuers were hampered by weather and local avalanche conditions," the office said. The Colorado Avalanche Information Center on Saturday tweeted that conditions in the backcountry were dangerous and "will require conservative decision-making." The sheriff's office said it "wishes to stress to the public the inherent dangers and risks associated with travel and recreation in the backcountry this time of year." It advised people to track current information on conditions. An avalanche last week in New Mexico's Taos Ski Valley killed Matthew Zonghetti, 26, of Massachusetts. Experienced skier Corey Borg-Massanari, 22, based in Colorado, was critically injured. He died at UNM Hospital in Albuquerque, his family said Monday. "Corey brought joy to many and will continue to bring joy to others through his life-saving gift of organ donation," his family said in a statement. "Corey was known for his smile, his quirky sense of humor and his unique sense of style."